Students examine the condition of historical photographs in a scrapbook. Exciting news!!!! 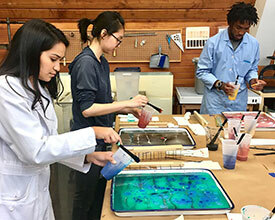 The Winterthur/University of Delaware Program in Art Conservation, in partnership with the HBCU Library Alliance, has received funding to coordinate five fully-funded, eight-week summer internships in library and archives preservation in 2018 at five nationally recognized library preservation/conservation laboratories. Interns will receive a cost-of-living stipend, funds for travel, and assistance arranging travel and housing accommodations. Summer internships will take place between June 1 and August 15, 2018, with exact dates to be decided upon by the intern and their host site. 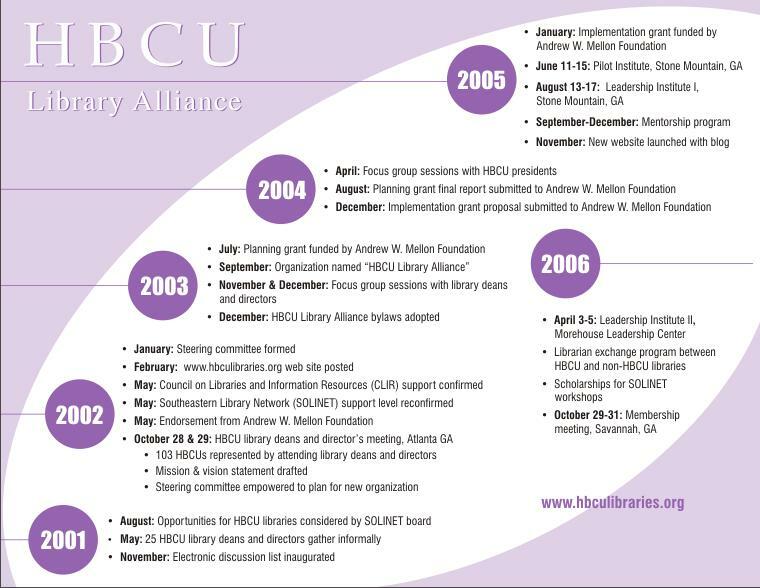 HBCU Library Alliance members in good standing are eligible to participate in this program. Your assistance is needed to widely promote the program, identify strong undergraduate students and encourage applications for this dynamic opportunity. I know you agree with me that the stronger the applicant pool, the more likely our success so that we can continue this internship in the years to come. Thanks to Board member Debbie Hess Norris, University of Delaware, for securing this funding. Thanks also to the Samuel H. Kress Foundation, the University of Delaware College of Arts and Sciences, the Department of Art Conservation at the University of Delaware, and the Winterthur Museum, Garden and Library (DE) for funding this internship project. What an exciting opportunity for HBCU students! 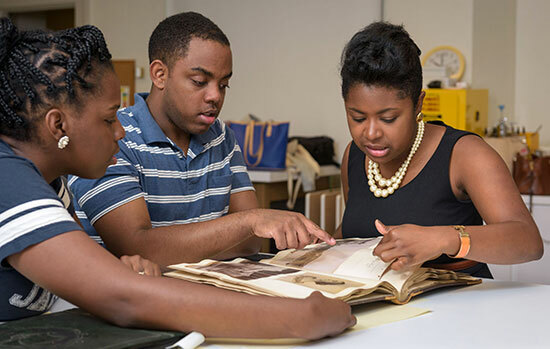 HBCU undergraduate students interested in the humanities, arts, and sciences will have the opportunity to learn and practice hands-on library preservation skills during this full-time, eight week internship under the mentorship of professional conservators and library staff at a host site. Successful internship candidates will demonstrate a strong interest in libraries and archives and an attention to detail, as well as interest and academic success in history, the arts, and/or the sciences. 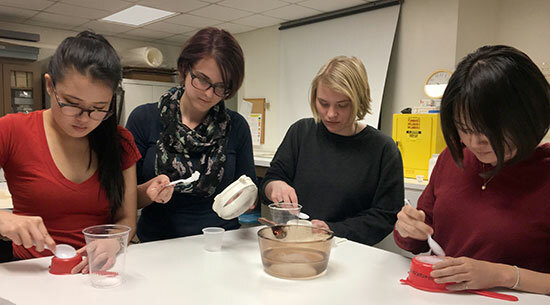 Students learn to cook and strain wheat starch paste for use in book conservation. constructing custom storage enclosures for fragile archival materials. Interns will then use their new expertise to implement a library preservation project designed in collaboration with their mentor and their home institution’s library staff, building on the success of their summer experiences with an opportunity to perform meaningful work preserving significant HBCU library collections at their institution. The American Philosophical Society Library is a national center for research in the history of the sciences, early American history, and Native American ethnography and linguistics. The Conservation Department provides complete collection care, ranging from preventive care to single-item treatment, for all books, manuscripts, photographs, and works on paper and parchment held by the Library – numbering 350,000 bound volumes , 13 million manuscript pages, and 250,000 images. Duke University Libraries (DUL) is committed to diversity in its patron communities, services, collections, staff and spaces. 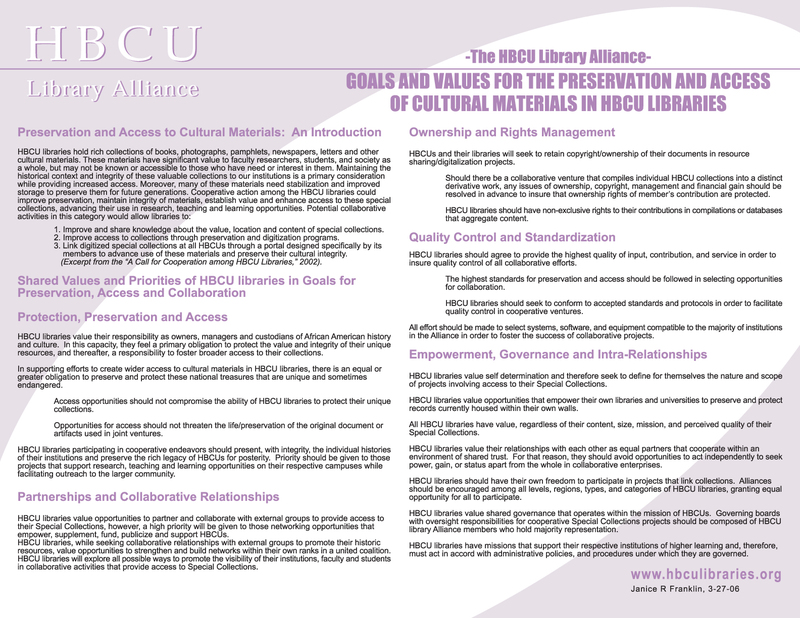 One of its guiding principles is to build, maintain, and provide access to an international and multilingual collection, representing the broadest possible spectrum of cultures, ideas, and information. Significant collections include the University Archives, the John Hope Franklin Research Center for African and African American History and Culture, the Human Rights Archives, and the Sallie Bingham Center for Women's History & Culture. The core mission of the Conservation Services Department is to ensure that library materials can be used by patrons both now and in the future. The Ransom Center is an internationally renowned humanities research library and museum at The University of Texas at Austin. Its extensive collections provide unique insight into the creative process of writers and artists, deepening our understanding and appreciation of literature, photography, film, art, and the performing arts. The Center’s Preservation and Conservation Division provides a full range of preventive and conservation treatment options for the long-term care of its collections. Winterthur Library collections promote the interdisciplinary study of American material culture, including art, architecture, decorative arts, and everyday life, dating from colonial times into the twentieth century. Its resources include printed books and serials; trade and auction catalogs; manuscripts, diaries, letter books, and family papers of artists, craftspeople, and merchants; design and architectural drawings; historic photographs; printed ephemera; a large collections of modern photographs; and institutional archives. Winterthur’s Library Conservation Lab is located within a larger Conservation Department with additional specialties in paintings, textiles, objects, furniture, works of art on paper, and scientific research and analytics. The Gates Conservation Laboratory at the Yale University Library opened in the fall of 2015 and is home to the conservation and exhibitions services program for the Yale Library’s collection of 14 million books, manuscripts, archival documents, photographs and artifacts, held in 16 libraries or collections on campus. The lab is staffed by a team of four conservators, four technicians, and one exhibits program manager, who provide expertise in book, parchment, paper and photograph conservation for both circulating materials and rare, special collections. The collections of the Library, especially those of the Beinecke Rare Book and Manuscript Library, document much of the human record, from Egyptian papyri to early Civil War photographs, and archives of writers, artists, and musicians of the Harlem Renaissance to those of student organizations on the Yale campus. Undergraduate students must return the following required materials as a single PDF to me at sphoenix@hbculibraries.org no later than Monday, February 19th. A second letter of recommendation from a mentor, professor, or employer. Undergraduate students will be selected by a panel which includes HBCU Library Alliance Board Chair Monika Rhue, Johnson C. Smith University (NC); Board member Dr. Tasha Lucas-Youmans, Bethune-Cookman University (FL); Project PI Dr. Melissa Tedone, Associate Conservator at the Winterthur Museum Garden and Library (DE); an intern supervisor from one of the host sites; and me. This is an exciting opportunity to expose HBCU students to library preservation/conservation at national sites and to expose these sites to the talent, skills and knowledge of our distinguished HBCU students. Contact me immediately at sphoenix@hbculibraries.org with your questions or if you need additional information. I look forward to receiving student applications!